RBC, the nation’s biggest mortgage lender, has cut its variable rate discount by 0.20 percentage points. The change is effective tomorrow. That lifts its advertised variable rate from 2.35% (prime – 0.65%) to 2.55% (prime – 0.45%). Given that lenders travel in packs, it’s likely that some other banks and non-banks will follow suit and reduce their own discounts. At the moment, gross margins (spreads) on 5-year fixed rate mortgages are roughly 197 basis points—based on a 3.44% 5-year fixed. Variable-rate margins are a whopping 51% less at roughly 96 basis points—based on prime – 0.85%. Given the abnormally large ratio of people going variable today, banks like RBC are getting tired of relying on cross-selling to make variable-rate mortgages profitable. For monoline lenders it’s even worse because they have nothing to cross-sell. The takeaway, if you’re a consumer, is this: If you’re in the market for a variable rate, get a rate hold soon to be safe. While prime rate can always change, scores of lenders offer 90 to 180-day rate guarantees on the discount to prime rate. August 24 Update: BMO, TD and Scotiabank have also set their posted variable-rates to prime – 0.00%. This is assuming the IRD has not gone up since we met last month..and i’ve read we can’t us a lump sum downpayment 30 days before the IRD calculation. Everyone seems to follow RBC, I wonder if we should break the mortgage now and lock in. Sorry forgot to say, the $500 in savings includes the cost of $2000 to break the mortgage. So the savings is about $2500 and it cost $2000 for those savings.. Sorry for the confusion. We are going to talk with Scotia this Friday and will ask if they can hold that rate to break the mortgage next month. given the above variable woes does this mean longer term fixed rates will drop, given of course all the other market considerations..
instead of -90 VIRMs RBC will still do-85, not really much of a drop , its TD that CHOPPED VIRM discounts from -85,-90 to max -50 as of Monday. TD is currently out of the VIRM market hopeing lenders will follow. I highly doubt it. You are way off base. From the discretionary pricing I’ve seen RBC will be closer to prime – 0.70%. sadly that is so, RBC can still offer prime -.85% to anyone, the bank mortgage specialists just get paid a lot less. There is no direct link between variable and long term fixed rates. You are wrong on this. As an RBC mortgage specialist, I can tell you that with the new pricing effective tomorrow, p-.85 will not be an available price once this move takes hold, no matter what the pay to the specialist will be. We do have to have pricing requests approved and 85 BPS is outside of the pricing due to cost of funds. All banks (and most non bnak lenders) will be moving towards the lower discount over the next few days,due to the cost of funds within the marketplace. The banks are currently making a killing on the 5-year fixed spread (given the bond market)and now they want to make it on the other end too? Unless this is a prelude to a drop in the 5-year fixed, this is simply gouging. Banks gouging? Surely you jest! VRM’s don’t carry nearly the same early termination penalities that fixed mortgages do. The often brutal IRD penalties for breaking a fixed mortgage have become an incresingly significant revenue source for many FI’s. As for VRM’s, The typical 2 or 3 month early termination Interest penalty often don’t even cover basic underwriting and servicing costs. This rate change doesn’t take effect until tomorrow smart guy. That 2.99% 4 yr fixed rate mortgage from RBC is starting to look mighty fine! This could be the best deal going right now… especially with none of the the major’s willing to drop their 5 year fixed rates. Banks are making no money with variable rate mortgages and this 20 bps increase from RBC stems from the off chance the BOC lowers it’s overnight rate (highly unlikely). This is just more proof that major banks see variable rates staying quite low well into next year. At least if they can get people locked into fixed rates they know they can make a little money. i was still able to get prime – .95 from my broker, not going to rbc but ing, i guess the banks dont alwasy follow suit! Just as a point of interest, ING’s rate is prime – 0.75%. Anything better is generally provided by the broker via buydown and not ING. There are numerous lenders where brokers can buy down rates. Also keep in mind that RBC’s rate change doesn’t take effect until tomorrow and most lenders haven’t had time to react to it. I just lost a Variable of P-80 to RBC who offered a ridiculous P-1% to my client not to leave!!! They will get everyone to lower their Variable discount and then still offer a ridiculous rate to compete with a broker! P-1% does not exist and yes I work for the bank. Virms priced at P-90 were in place with anticipation that the prime rate would indeed go up and margins would allow these great discounts. With the US debt crisis and recent expectations of slow growth, market fallback…etc, give it another 2 months and PRIME MINUS mortgages are history baby. Remember early 2009? PRIME PLUS!!!! Ya I think your client has a vivid imagination. No one will do P-1%. So these increases don’t affect current variable rate mortgage holders? Banker stole your mortgage…. What a silly statement. There is nothing that would forseeably cause prime minus to disappear anytime soon. I find the comment thread on this article interesting because there are so many completely differing statements made by those apparently “in the know”. Seems to be a lot of confusion out there right now regarding who is offering what rate. With ultra low Fixed rate, it seems unwise for anyone to go Variable! 2.99% for 4yrs is a great deal!! Too bad the business and more unfortunately our customers focus so much on rate. Obviously from this thread we see there are many different “best rates” available. Taking the high level view, doesn’t this simply underscore the value us Brokers/Agents bring the equation? Banks have more money than anyone [except maybe Apple] and they can buy the business if they want to. Therefore it is up to us to make sure clients understand the banks’ tricks and that the lowest rate is not always the best rate. It’s a tough battle for sure. But certainly one worth fighting. Lets continue being professionals and I’m sure we’ll win more than we lose. RBC has been offering a 2.99 Fixed 4 year for a couple of weeks now. 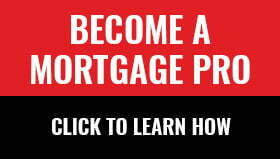 So to say “we will see 2.99…” is a little late as it already is available from Canada’s biggest mortgage lender. Shoud force other banks and lenders to get just as creative with thier fixed rates. There are a number of references to the fact that bank cost of funds has gone up for variable rate loans. When I look at the rates on BAs which would be one of their cost of funds I do not see increases. 3 month BAs are around 1.15 and have been pretty constant. Can some please comment on the higher cost of funds statement made by the banks? It’s possible but the precursor leading up to the crisis is different. The reason why banks jacked up their decrement to prime at the peak of the financial crisis is because the world was going through a *credit* crisis that was tied to real estate through the securitization market. With banks not knowing what institution had toxic assets on their balance sheet and to what extent, the interbank lending system came to a halt. As such, banks were forced to hike short-term rates such as variable-rate mortgages, HELOCs, PLOCs, etc. This time around the situation is different and not entirely linked to real estate/CDOs. Nonetheless, it can get ugly because we’re facing a sovereign debt crisis that *can* morph into another credit crisis as some European banks in the peripheral states are already having difficulty borrowing through the markets and rely on central banks to bail them out. So a sovereign debt crisis can and I think ultimately will transform into another credit crisis which given how tightly linked the banking system is can cause problems not only in Canada but around the world. I still wouldn’t worry about it going up noticeably in the short-term. As long people lock the spread now, they should be fine. The best rate is irrelevant these days because it seems that everybody have the best rate. When a homeowner is borrowing hundreds of thousands of dollars to invest in a property (buying a home is an investment after all), a competitively low rate is important but a long-term repayment plan is even more important. Even if they secure the lowest rate now, if they happen to be in a mortgage or term that’s not compatible with their objectives, the costs in the future would eliminate any realized savings that you’ve secured now. I guess what I’m saying is focusing solely on the rate can be cost prohibitive in the long run as it distracts from other important components of the mortgage. These days it’s not a problem finding a low rate with the sheer amount of information available online. Getting a low rate is the easy part. I too have heard reference to additional securitization costs cutting into monoline lenders margin by upwards of 10bps, but nothing concrete. It would be of interest to hear what exactly the lenders are facing in terms of additional originating costs..
Mark Chandler, head of Canadian fixed income and currency research with RBC Capital Markets, said the one-year Canadian Dealer Offered Rate, a measure of interbank cost of funds and lending, has almost doubled to 70 basis points compared with about 40 in mid-April. There is “some truth” that there have been small increases in short-term borrowing costs on the variable side, thanks to higher risk premiums and new accounting rules, McLister said. When I look at the CDOR rates on the BoC site http://credit.bank-banque-canada.ca/financialconditions?wwparam=1314223721 it does not show CDOR increasing. As you have observed, the 30-day bankers’ acceptance (BA) yield (which is a rough measure of gross VRM funding costs) has actually drifted lower. But lenders always pay a market spread above BAs to fund VRMs. That spread widened a bit, reflecting heightened credit market uncertainty. Funding costs are also being impacted in many cases by IFRS, which makes securitization more expensive. I just got Prime- 1.00% from a broker via ING Direct. SO, Prime -1.00% does exist. 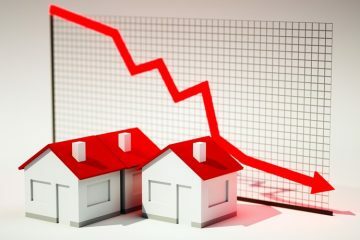 “…focusing solely on the rate can be cost prohibitive in the long run as it distracts from other important components of the mortgage. These days it’s not a problem finding a low rate with the sheer amount of information available online. Getting a low rate is the easy part.” Amen! Which is why using a mortgage broker these days is more important than ever. …is focusing solely on the rate can be cost prohibitive in the long run as it distracts from other important components of the mortgage. These days it’s not a problem finding a low rate with the sheer amount of information available online. Getting a low rate is the easy part.Amen! Which is why it is important to use a mortgage broker now more than ever! where are you from ? Can you tell me what broker got you P-1.00 ? Want to take a guess how much their Overhead cost may be like? How much influence – profit target – has on these games? Competent professionals in any business never work for free or pennies on the $. As for your competency, the fact that you consider all mortgages the same, clearly show how little you know about the subject. Couldn’t agree more with the above comment. Today is August 31st and a Branch with Leo outside it just gave a client Prime less.90! What double standard? They were adamant that P -.6 was the very best variable rate available. They also wouldn’t budge on the 1yr closed rate of 3.2%. Does anybody know if RBC has any discretion on the 1 year closed? I’ve seen it advertised as low as 2.64% through other institutions. The 4 year closed at 2.99 is my current choice, but I’d like to know if they have discretionary pricing on the 1 year closed before I choose my term. P-.6 is okay but not great. You should be able to get under 3% on a 1 year fixed at RBC. You can get a lot better with a broker. Why are you bothering with RBC?